Vehicle #53 arrived, a turn of the century Kerosene Wagon! AAA show your card and save on regular admission! Senior & Military discounts too! We love sharing our carriage collection with groups of all ages. Guided tours can be tailored to accommodate any group. 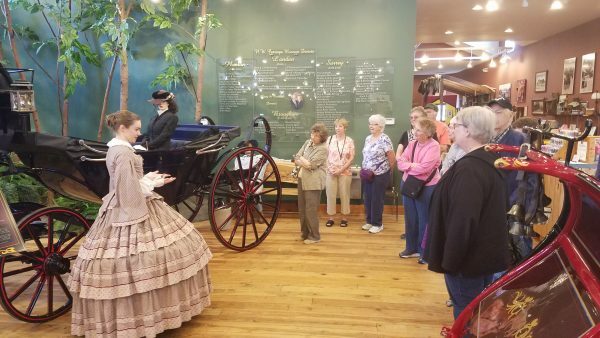 As you stroll among the beautifully restored vehicles, your tour guide will explain not only carriage history, but also life in the 1890’s. Did you know traffic congestion was a real problem in the horse drawn era? Some of the first horseless carriages were actually advertised as the “solution to pollution.” I bet you can imagine why! 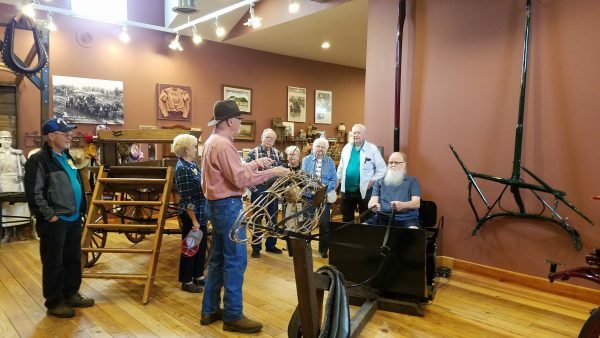 Group tours are a great event for any organization. Over the years we have hosted, numerous car, RV and service clubs, church groups, retirement homes, softball teams, bus tours and even a few dignitaries. We also provide unique educational tours for schools. We would love to host your group. 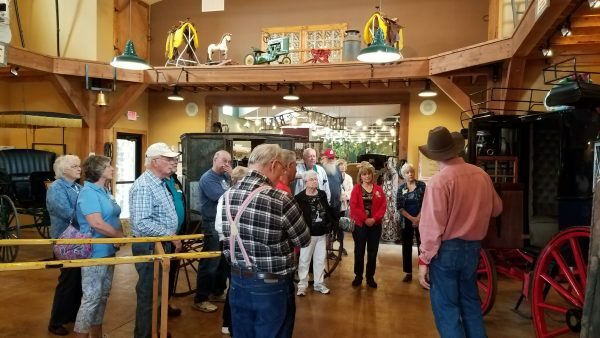 Group tours always receive a discounted admission at the Northwest Carriage Museum and parking is abundant.